Don't be so cruel in fact I just ordered a very simple scabbard to protect the blade while not in use... or protect the fingers during transport. And to keep a decent price. Oh god, I just received the falchion, and... this is so great. I was impressed seeing the pics, I am so much more handling the beast. 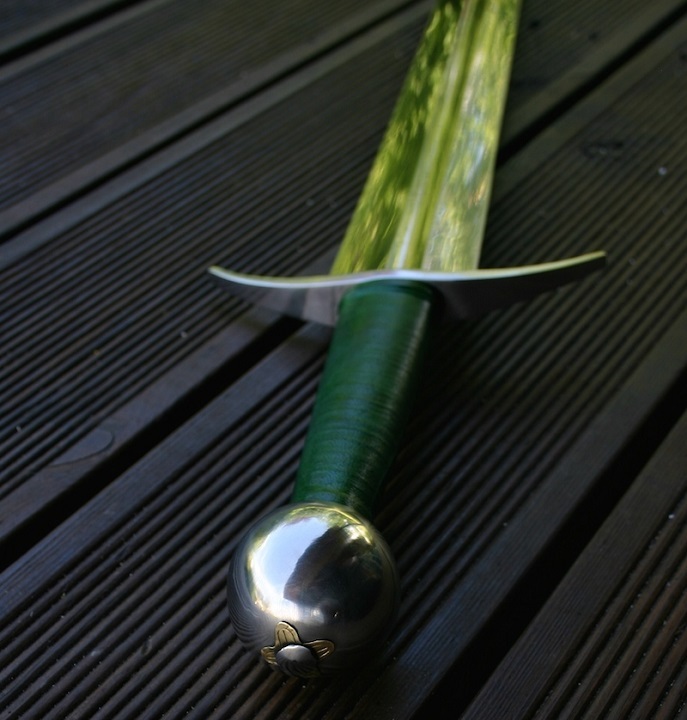 The weapon is not so heavy (about 1450/70g), the blade is very thin but has a great presence. And grip and pommel feel so comfortable. I don't regret it at all. I'm thinking about doing a detailed review on the forum. 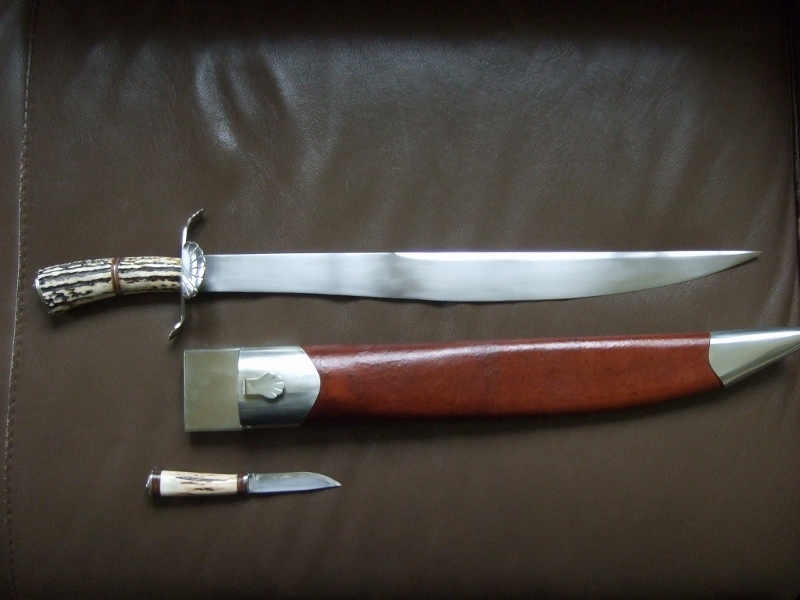 I also received a nice dagger by Lutel, their rondel dagger 10001. I'm glad, it looks pretty nice for the price, well fitted and light. And then in a few days, some stuff by Maciej Kopciuch. Funny how all these commissions were taken at various moments last year, but all arrive at the same time. Well, never one for Asian Swords, even thought I have a couple, I thought that I would buy a Katana, just to see. Not wanting an eBay item, I purchased a Shinogi-Zukuri type blade with laminated 1070 and L6 in the Kobuse method of construction. 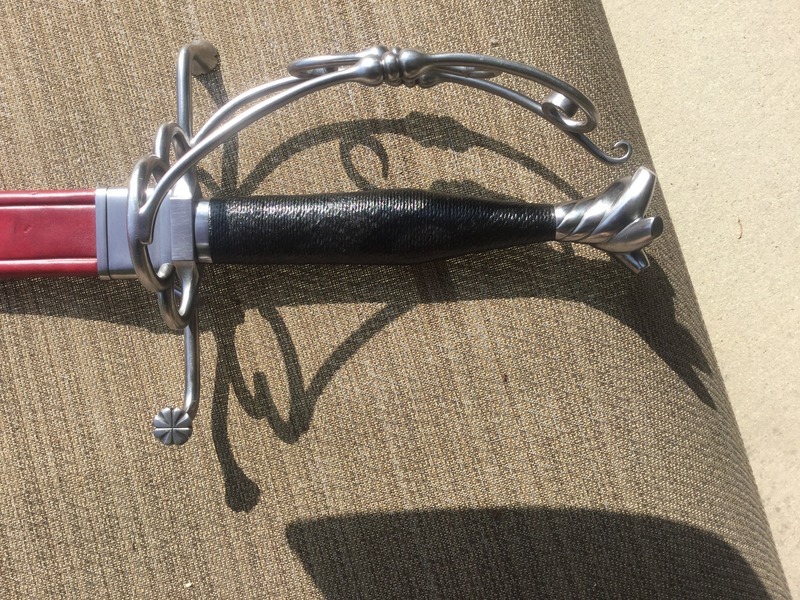 I purchased this directly from Jim Hrisoulas for the price of a mid level Barta Sword. It seem a fun blade and very lively, but it will probably not go into my long term collection. 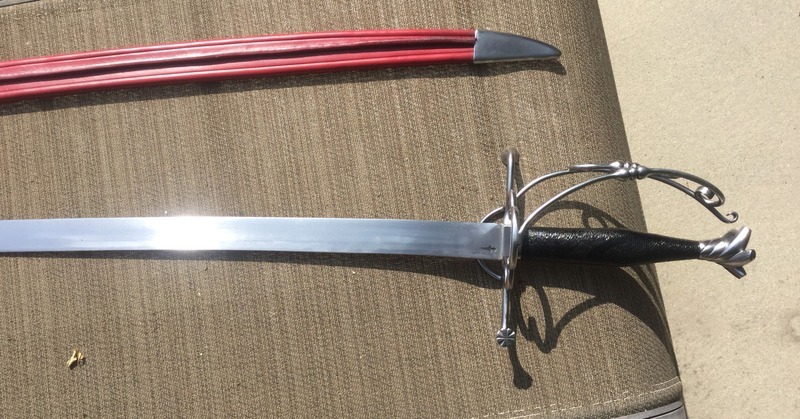 My Lutel Swiss Sabre finally showed up. I asked for 2 modifications to their standard build. 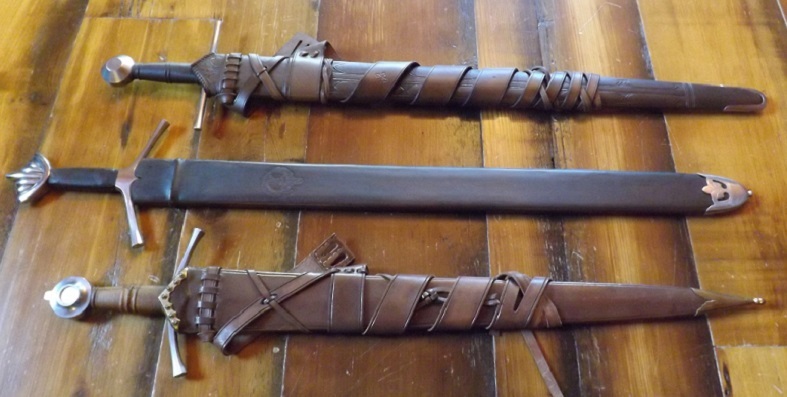 I asked for a full length scabbard and a more traditional longsword handle wrap instead of the lace wrapped handle they usually do. First impressions are that they did a good job. The bars in the guard are well formed and the welds are clean. They could have done a better job blending one of the bars into the main body but it's not a deal breaker. The blade looks good and feels very lively in the hand. The edge is sharp but will soon be a lot sharper. Sadly I have a consult with my orthopedist next Monday about surgery on at least my right shoulder and probably both of them so I can't really play with it right now. In the meantime some quick pics. That looks fantastic! I've wanted one of those for a long time... I like the mods you requested and think they make for an even better piece. I think the full length scabbard is a requirement for this sword especially if it's sharp. That funky demi-scabbard that Lutel does alway struck me as weird, impractical and dangerous if you'd ever want to wear it. I'm really pleased with the level of craftsmanship on the guard. That was my biggest worry when I decided to order the sword because it could have been so bad in so many ways but Lutlel came through with shining colors. I'm fighting the temptation to order one of their messers right away. 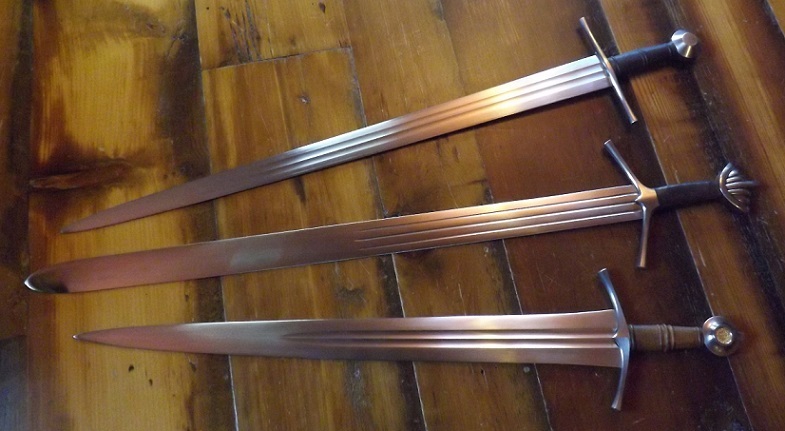 I actually have two swords that will be shipping within the next two weeks from Europe. The first is from Poland and the skilled hand of Maciej Kopciuch. For this particular sword I did not have him create a scabbard. 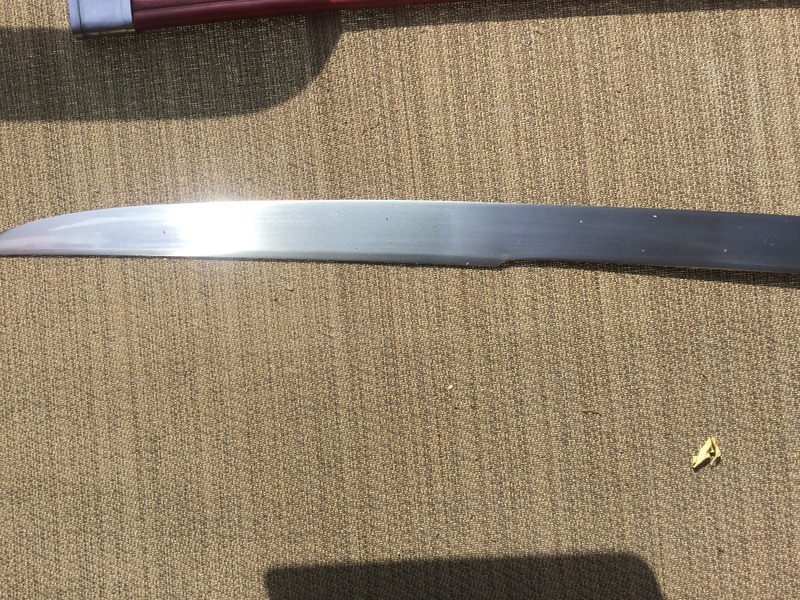 The first is a picture of the sword with a bunch of siblings before the grip was wrapped. THe second is a link to the sword from Maciej's site. The second is from the Isle of Skye and the skilled hand of Rob Miller of Castle Keep. Those look like nice blades, Scott. Please let us know how you like them! Thank you Brian. When I receive them I will definitely be posting about them here. You will be seeing the sword from Rob for a scabbard once my sword buying fund resets next year! I kind of already went through the budget this year! 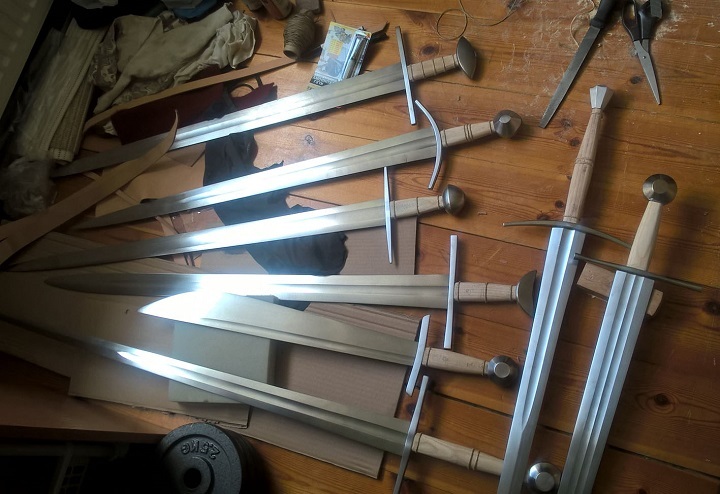 Here are the swords I have acquired in 2017 so far (minus one that I acquired briefly and traded away). Each has its own story, which I will summarize here. 1) Albion Sovereign XIV with Todstuff Scabbard. This was originally a prize for an Albion Europe Contest. I owned a Sovereign previously, sold it, and then missed it. I traded this one for an Albion Jarl, which I got for an Albion St. Maurice, which I got for a custom A&A & Scabbard that I bought from another forumite years ago. We had quite a time getting it from Sweden to Canada. When it arrived I added an early 14th century English gold coin replica on each side of the pommel for a more 'regal' look. Looks great, and feels great for slash-and-thrust work at close quarters. I think this one is a keeper. 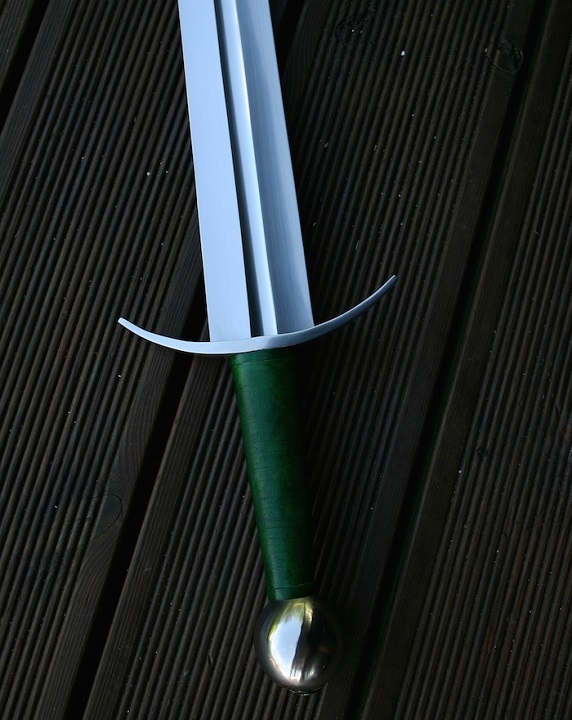 3) Maciej Kopciuch XII / ssinspired by River Witham Sword. It may be the same sword pictured above in Scott's post. I've had three swords inspired by the same original: Ollin Hart sword, Albion Vigil, and now this. This one deviates the most from the original, having a 1CM longer grip and pronounced profile taper. In balance and profile its equally suited for cutting and thrusting. Together with its robust edge geometry and stiff blade, I'd say these features make it a next generation version of the 13th century Witham, maybe 1300ish, suited to oppose more rugged armor. Very interesting sword, and I really like the tooled designs on the scabbard. In retrospect, this year's theme was multiple fullers, although I've always been a sucker for such blades. J.D., very nice acquisitions. I like them all. I heartily agree with Patrick. Those are all great looking swords. Though that XIIIb by A&A is my favorite! 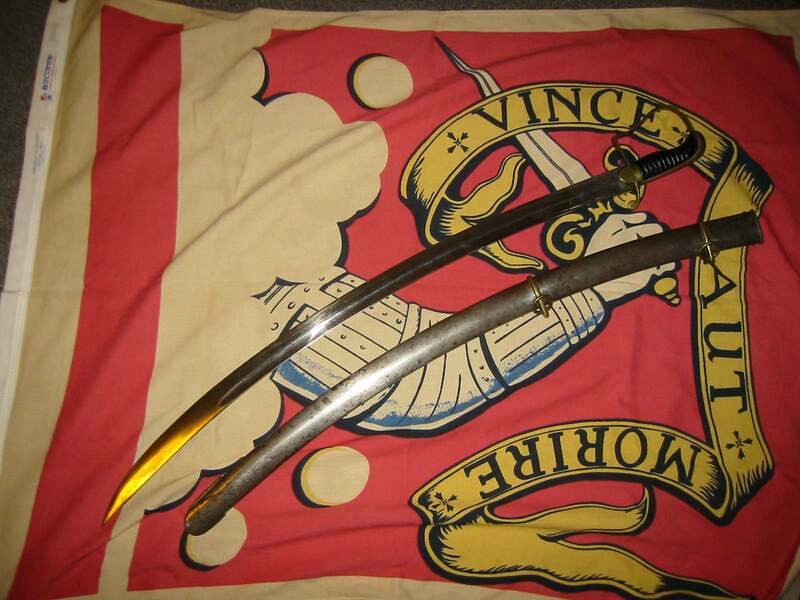 That very well could be the same sword in the pictures that I posted from Maciej. 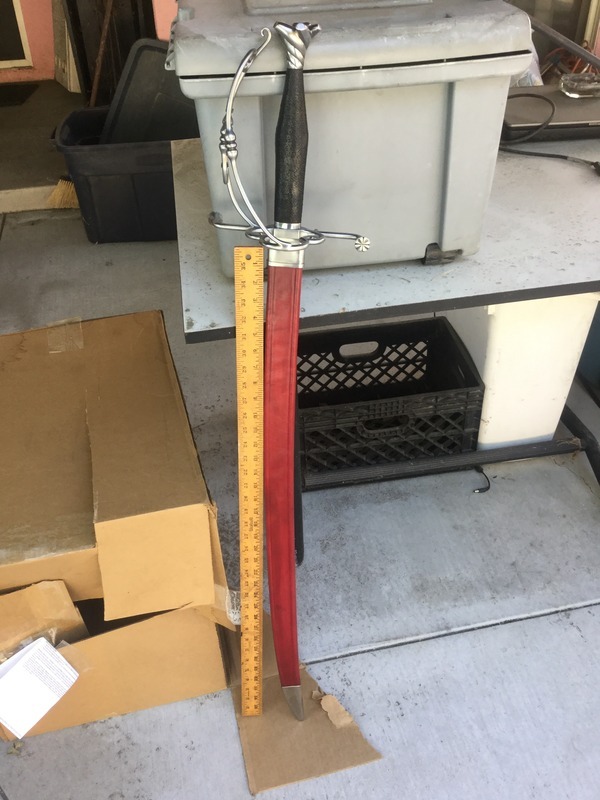 My last sword purchase was a Albion Munich in " Gothic". I should have delivery in Aug 2018. The last sword I received was a Albion Ghaddjhalt which I received July past. 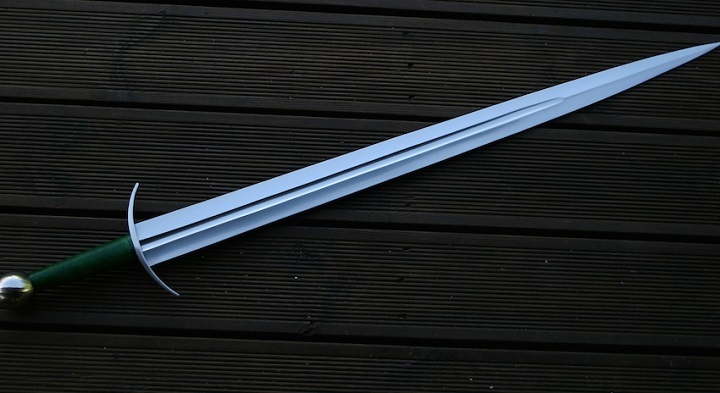 Spectacular sword imo, and now I am making a scabbed for it which I will post pictures of when complete! 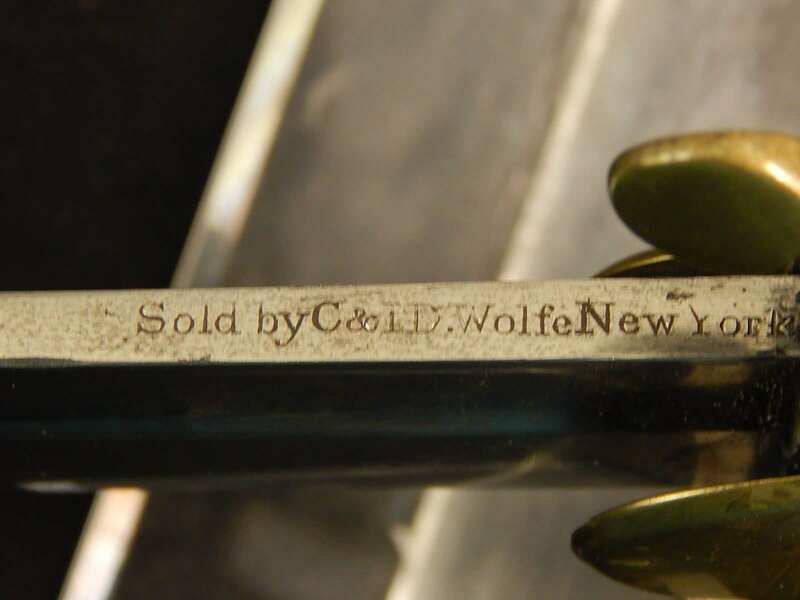 My sword purchase this year in an 1820s New Yorker retailed by the Wolfe family. New old stock 200 years old. 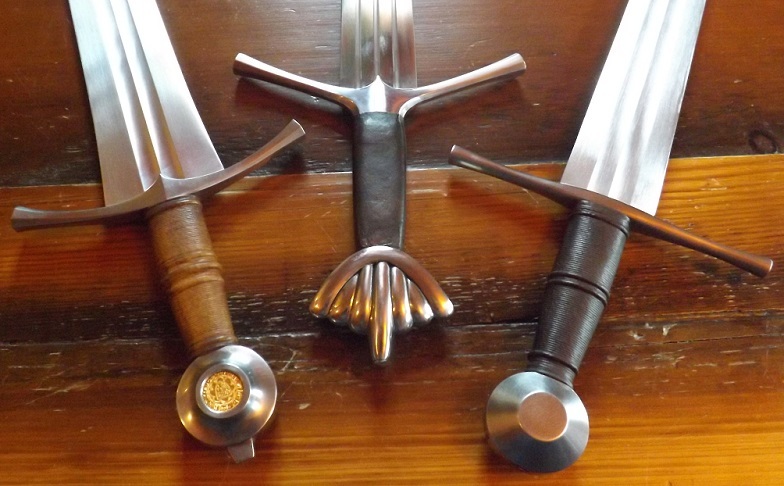 A beautiful Valiant Armoury Templar Longsword arrived today. I'll post pics this weekend. Wow, very nice even just out of the box! 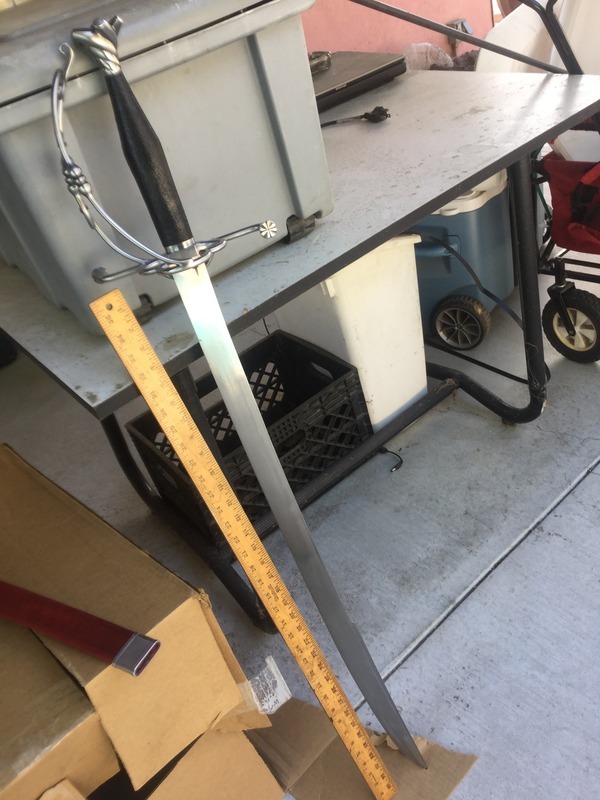 I just bought this hanger/hunting sword interpretation built by Alex Indman, who is a member here. Great guy to do business with. I will post a review of the sword when it is delivered. No pictures currently but I managed to pick up an Albion Earl in ox blood with Scabbard. A sword I have wanted for many years now. 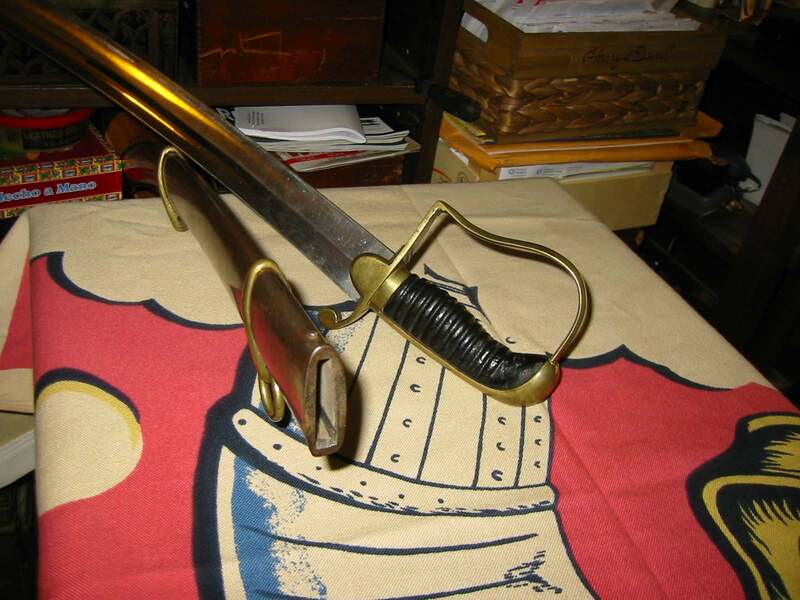 Prior to that a Landsknecht Emporium Gottfried Messer (blunt).